We have two different conventions that we're going to this coming weekend. We'll be at the annual Nerdacon anime/gaming convention on Nov. 17 at Columbus State University on 4225 University Ave., Columbus, GA. 31907. 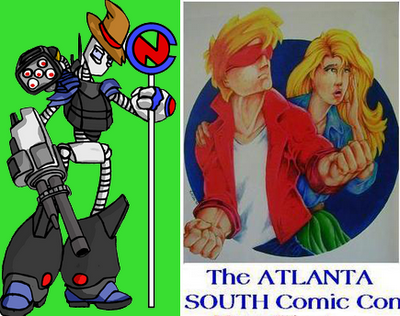 Then, we'll be at the Atlanta South Comic Con on Nov. 18 at the Fairfield Inn & Suites on 30 Mill Rd., McDonough, GA. 30253. You can find us at the Artist Alley at both cons.